Pastor Janet Hunt has served as a Lutheran pastor in a variety of contexts in Northern Illinois, and is a long-time partner and Associated Trainer for Church Innovations, a research and consulting non-profit institute that innovates capacities of churches to be renewed in God’s mission. For further contemplation, here is a visual art piece relating to Ephesians 3:14-21. 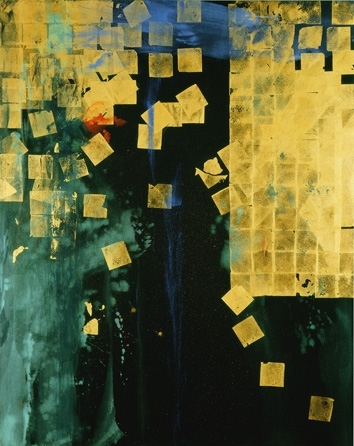 This image by Makoto Fujimura is called “Soliloquies-Joy”. The paint is made from precious metals. Gold leaf is also used in the art work. You can learn more about the artist and the technique of nihonga painting that he uses by visiting makotofujimura.com.